One of the most challenging things about developing a new product used to be where to get the funds. Product development usually involves considerable development fees for industrial design, engineering, programming, prototyping, and tooling. Once in the manufacturing stage, you’ll then have to apportion a substantial budget to prepay the first production run. 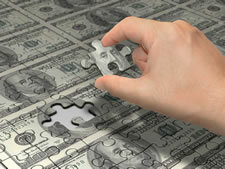 Finding these funds can be a daunting task. Luckily crowdfunding websites such as Kickstarter and Indiegogo are quickly becoming a popular platform for entrepreneurs who have a wealth of ideas but not, well, the wealth. These platforms allow startups with an idea to pre-sell their yet-to-be-manufactured product to people who have enough faith in the product and the team behind it to vote with their money. If the project does not reach the target fund by the deadline, then backers (usually) get their pledges back. In that sense, the site also serves as a test market: if nobody is interested to back for your idea then you’d best think twice about it. Interestingly, crowdfunding is generating so much buzz that some start-ups are using the platform not so much for the money as to gain market exposure, build a brand, and get valuable feedback from all its potential early-adopters. One of the biggest funding successes so far is the Pebble, a customizable watch that connects to the iPhone or Android smartphones via Bluetooth. It’s funding goal of $100 thousand was met within hours, and when they closed in mid-May they had received an unprecedented $10 million in pledges. Unfortunately the product is not yet a shipping success, after moving the date back a couple of times the firm now declines to set a firm date, even though this startup had been working on it already since September 2008. It’s now dawning on the crowdfunding community that not everyone with a cool idea and snazzy rendering is able to reliably deliver mass manufactured units, and 84% of the hardware projects on Kickstarter are experiencing significant delays. This has led to disappointments, and to reduce these Kickstarter has tightened up the rules: they now require a functional prototype, a credible manufacturing plan and an explanation of the remaining risks and challenges. To make a working prototype you need to design the electronics—but bear in mind that if you have the electronics designed in the West, you’ll likely end up with Western components, which will inevitably raise your unit cost. Since many electronic devices retail for about 3 times the manufacturing cost, every penny saved makes your product three times that amount more affordable. This is the main reason most electronics are made in Asia (heck, even Apple does). The challenge is then often to find someone who knows how to program Asian microcontrollers, and can talk with the Asian LCD manufacturer to discuss driver issues. Once you’ve worked out (most) of the bugs during prototyping and are ready to start producing, it’s prudent to do a small pilot run for field testing before producing in the thousands. Distribute the product to a group of friends and supporters and collect user feedback. It’s critical that the final mass manufactured product is safe, reliable, and does what it’s supposed to do—or risk epidemic failure and have your backers clamoring for your head. Raising funds to back your project may have gotten easier, but realize that funding is but a small piece of the very complex product development puzzle. Expect developing a new product to be inherently rife with challenges ranging from design, system engineering, component selection and pricing, debugging hardware, certifications, manufacturing to quality control. PS. If you have found this article interesting, check out more information shared by the same author .